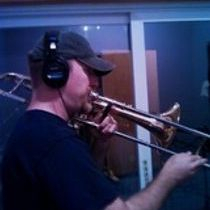 Nathan is a teacher, trombonist, voice actor, and amateur woodworker currently living in Southern Maryland. 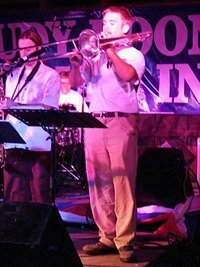 Between teaching full time, private lessons, and other side gigs he is usually busy doing something. For information about lessons, voice work, commissions, or gigs, please contact [email protected]. Under the Schedule section you will find a general calendar of upcoming gigs, as well as a rough lesson schedule. The Links section contains links to other websites, blogs, etc. as well as links to the paperwork needed for new students. The Policies section has a list of relevant policies for students of Natebone Studio. Under the Woodworking section you will find examples of the woodworking projects from the Natebone Woodworking Studio - aka LumberNate.